There is massive breaking news today in the Printzen hockey family here in Las Vegas. — Ashley Printzen of Las Vegas will skate this fall for AAA Belle Tire girls 16u, a premier team based in Detroit. Ashley is 16 years old. The AAA Belle Tire 16u girls team won the U.S. Tier 1 National Championship last season. In the gold medal game AAA Belle Tire beat the AAA Pittsburgh Pens 2-0. — Cody Printzen, 17, will skate for the Team USA roller team at the 2017 AAU International Championships at The Rinks-Corona, California. The AAUs get underway for Cody on July 10-13, then Cody will skate for Team USA in China on July 15-18. Cody last season played for the Micah Sanford-coached AAA Las Vegas Storm 16u ice hockey team at the Las Vegas Ice Center. Las Vegas – It’s time to celebrate. The USA 241 years ago signed its Declaration of Independence in 1776 and the world of hockey – GMs, head coaches, players and Las Vegas hockey moms and dads – will be celebrating all over our city on July 4. MATT EDLIN, LONG-TIME LAS VEGAS HOCKEY EXECUTIVE: “We are spending some time in Brewster, NY for five days with our girlfriend. We are heading to Cape Cod on July 4 and will be with family and friends. We just went to the Brewster Ice Arena which I learned has a great hockey arena and is the home of the New York Apple Core teams. Still living in Las Vegas however and playing some pickup hockey there. Am excited about the NHL Golden Knights and the UNLV Rebels. Hope all in Las Vegas will have a great July 4. TALON MILLER FROM BIRD CREEK, ALASKA, WAS A GOALIE TWO SEASONS FOR THE AAA LAS VEGAS STORM 16U – Talon will celebrate with his wife and new baby Celeste. Talon is playing men’s league hockey over at the Subway Centre in Anchorage. The Subway Centre is the rink where the Pokey Reddick-coached Las Vegas Storm years ago upset the Alaska Wolves in the semi-finals of the Pacific District Championships. Talon was the goalie for Las Vegas in that historic game. Moline, Illinois – The Quad City Mallards have re-signed center Chris Francis, the Mallards announced today. In 63 games last season, Francis scored a career-high 27 goals and registered 33 assists to finish tied for the team lead with 60 points while serving as the Mallards’ captain. The 28-year old Las Vegas native reached a pair of milestones last year by recording his three hundredth career point and scoring his one hundredth ECHL goal. “Re-signing Chris, who led a Mallards team last season that was statistically one of the best in a decade, is a step in the right direction toward raising the bar and improving on what we accomplished last season,” said Mallards coach Phil Axtell. The 5-foot-9-inch, 189-pound Francis has scored 120 goals and notched 180 assists in 441 games over seven professional seasons. Francis returned to North America with the Mallards last season after spending 2015-16 with Alba Volan Szekesfehervar, a Hungarian club that competes in the Austrian Erste Bank Eishockey Liga. He scored 12 goals and picked up 17 assists for 29 points in 50 games with Szekesfehervar. The Mallards are Francis’s third ECHL club. He skated for the Alaska Aces in 2014-15 after playing in his hometown with the Las Vegas Wranglers for the prior three and a half seasons. Francis, who helped Las Vegas to a berth in the 2012 Kelly Cup finals, first joined the Wranglers as a rookie in 2010-11 having also spent parts of his first professional campaign with the Fort Wayne Komets- who were then in the Central Hockey League- and the American Hockey League’s Springfield Falcons. Francis turned pro after four Western Hockey League seasons with the Portland Winterhawks, for whom he produced 66 goals, 123 assists and 189 points in 279 career junior games. The Mallards will open their twenty-first season- and their fourth in the ECHL- on Friday, October 13 against the Toledo Walleye at the iWireless Center. Mallards 2017-18 season tickets are now available. Season ticket holders enjoy significant savings of the walk-up ticket price and receive a host of exclusive benefits. For more season ticket information, fans can contact the Mallards at 309-277-1364 or info@myqcmallards.com. Cranberry, Pa. – Gage Quinney, a 6’1, 195 forward from Las Vegas, will skate in the NHL Pittsburgh Penguins Developmental Camp this week at the UPMC Lemieux Sports Complex. The Penguins have invited 40 of their top prospects to skate here June 28 to July 1. Gage, 21, last played in Las Vegas in 2012-13 for a AAA Las Vegas Storm 18u team at the Las Vegas Ice Center. He had 24 goals, 16 goals that season. He played in the WHL and was a 30 goal scorer for the Kamloops Blazers two seasons ago. Last year Gage skated for the ECHL Wheeling Nailers, an affiliate of the Pittsburgh Penquins. He had 24 goals, 16 assists. His father is the famous Ken Quinney, a former NHL player and who is a top hockey coach here in Las Vegas. Gage’s younger brother Landon played last season for the QMJHL St. John’s Sea Dogs. Gage has been training hard at Las Vegas ice rinks for weeks, working on his technique and acceleration with hockey coach Rob Pallin who is the head coach of HC TWK Innsbruck in Austria. Hometown skaters Kenny Brooks and Brendan Harris of Las Vegas are on a 44-player roster for the NHL Vegas Golden Knights Developmental Camp this week. Kenny last season played for the ECHL Colorado Eagles and Brendan graduated from the BCHL Wenatchee Wild hockey program. Brendan is committed to play with NCAA Bemidji State this fall. The Golden Knights #1 draft pick Cody Glass will be skating in the Developmental Camp as well. Cody last season skated for the WHL Portland Winterhawks. The camp will run Tuesday through Saturday with all activities set for the Ice Center on Flamingo Avenue in Las Vegas. 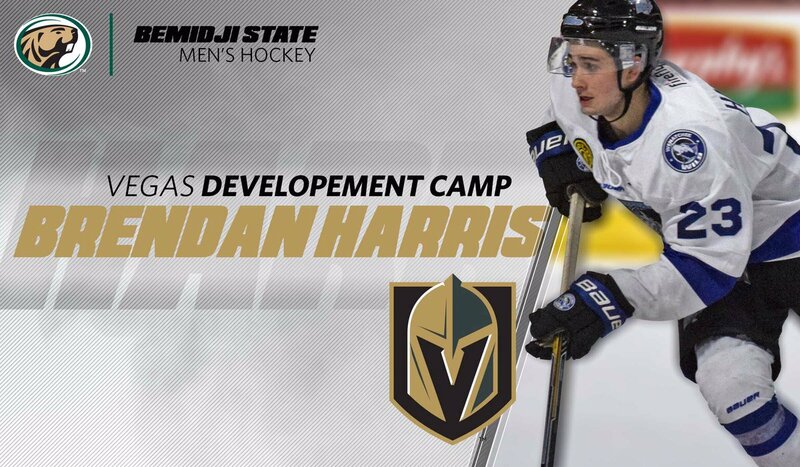 The NHL Vegas Golden Knights have their Developmental Camp beginning this Wednesday at the Las Vegas Ice Center. July 4 Week Flashback in 2001 – Vegas Hockey 16 Seasons Ago! Another Thrilling Win For AAA Las Vegas!!!! TAKE ON O.C. BLADES FOR GOLD MEDAL!!! Anaheim, Calif. — Adam Naglich drove in from the left side, angled towards the net, deked the goalie and scored a super-clutch goal as the AAA Las Vegas Titans roller team fought off and beat the Tour EPH Oilers, 4-3, in overtime on Monday afternoon. The victory put Larry Sanford’s AAA Titans roller team into the Pacific Cup 16-and-under gold medal game. At 6:45 p.m. Monday evening, the Titans will take on Ken Gibo’s Orange County Blades who stunned and eliminated the #1 seed Anaheim Mission Bulldogs, 1-0. Naglich, playing spectacular hockey here, scored two goals. Alex Redmond scored, as did Evan Zucker. Cody Fulweiler had a huge game in the net and got the win. AAA Las Vegas is 3-1 here, as are the O.C. Blades. Here’s how the two teams have done so far in this eight-team Pacific Cup AAA tournament. 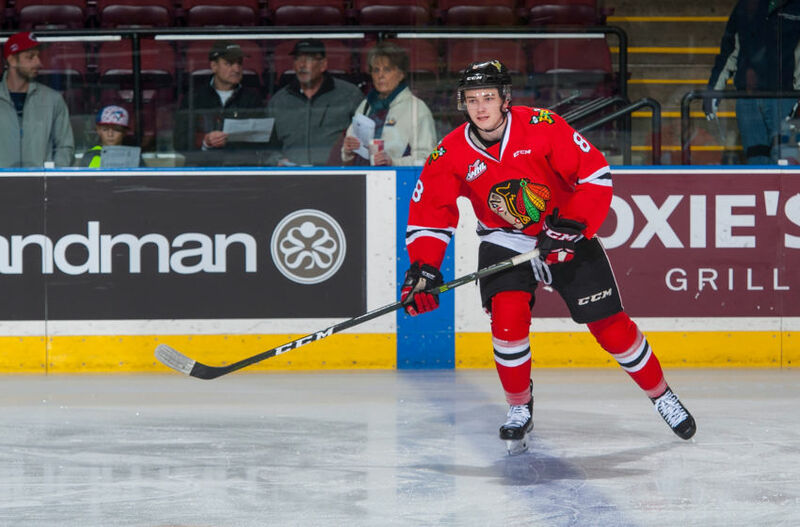 The NHL Vegas Golden Knights went for a power goal scorer when they selected Cody Glass of the WHL Portland Winterhawks in the first round of the NHL player draft on Friday. Cody, 18, is from Winnipeg. He first played for the AAA Winnipeg Hawks Bantam team, then the AAA Winnipeg Hawks midget major team. From there Cody skated two seasons with the WHL Portland Winterhawks. This past season Cody skated in 69 games for Portland with 32 goals, 62 assists, 94 points. He has great size, listed at 6’2 and 185. Cody was the top scorer for Portland which went 40-28-1 in the regular season and went into the second round of the playoffs. Some of the leagues which had the most draft picks – OHL 42, WHL 33, USHL 20, Sweden Jr 17, QMJHL 14, U.S. High School 12, Sweden 12, NCAA 9 – also the BCHL had 1, as did the NAHL. Ivan Lodnia, the hockey son of coach Konstantine Lodnia, was drafted by the NHL Minnesota Wild in their first pick for the player draft on Friday. Ivan, selected in the 3rd round – the 85th pick overall – played for the OHL Erie Otters this past season. The Wild traded their round one and two draft picks to obtain Martin Hanzel from the NHL Arizona Coyotes. Ivan Lodnia was then selected by the Wild in round three. Years ago Konstantine was the head coach of the AA Long Beach Ice Dogs 18u who were the first most fierce rival for hockey coach Rob Pallin of the AA Las Vegas Mustangs in the 1999-2002 era. The two teams locked up in historical games. At the time in AA hockey history here in town the big Pacific rivals were the L.A. Jr Kings, Long Beach Ice Dogs, San Diego Gulls, Alaska All-Stars and the Anchorage Jr Aces. Long Beach skated out of the historic Glacial Gardens. In 2001-02 Las Vegas – with the Red Line of Josh Jasek, Adam Naglich and Eddie Samuels – beat the Long Beach Ice Dogs 4-1 in a Pacific District Regional game enroute to winning a gold medal there and advance to the U.S. Nationals. Las Vegas defenseman Justin Johnson scored 2 goals and Naglich, Jasek also scored to beat Long Beach – a very tough hard-skating club.